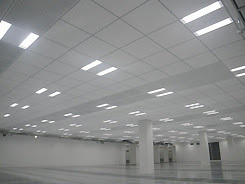 Commercial high-bay LED installation and retrofits. 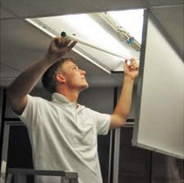 Using motion and occupancy sensors together with LED would allow you to cut the lighting bill by 50% to 70%. You will end up with new, longer lasting and brighter luminaires, pay less and, on top of that, forget about maintenance, ballast and bulb change. It's an overall and big win - win situation, where people, nature, and the earth atmosphere are all the big winners!